​NRG won cs_summit 3 Sunday after beating out OpTic Gaming in the grand final. 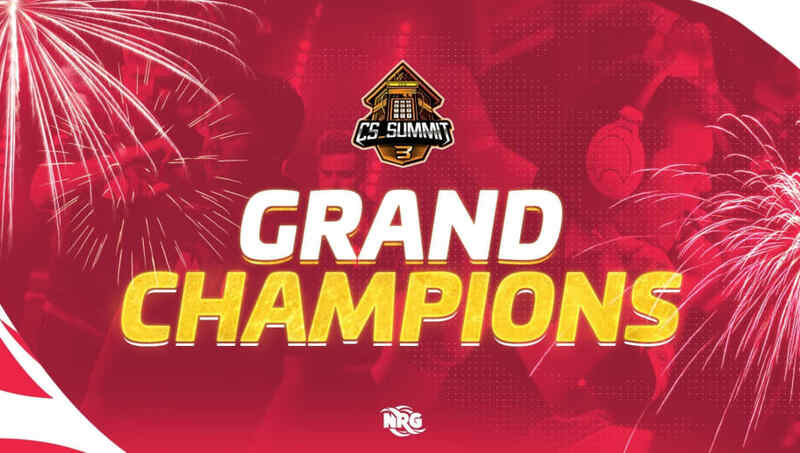 #NRGCSGO IS YOUR #CS_SUMMIT 3 GRAND CHAMPIONS!!! The cs_summit is a series of tournaments hosted by Beyond the Summit. This is the third ​Counter Strike: Global Offensive tournament it has hosted, and it took place at the summit house in Los Angeles. NRG took home the lion's share of the $150,000 prize pool after beating out OpTic Gaming. The grand final series was a best-of-five, and NRG took the win after beating OpTic 3-1. OpTic Gaming barely won the second map on Nuke in a 16-14 victory, but NRG quickly took the series back in the next two games. OpTic started the tournament out in the upper bracket but quickly dropped down after a loss to BIG. The team would then go on to 2-0 Ghost Gaming, compLexity and BIG before playing in the grand final. The tournament ran parallel to the BLAST Pro Series Copenhagen tournament, where Natus Vincere ​recently defeated Ninjas in Pyjamas to take home the victory.